3. Level your washer - Although sometimes "stable" is better then level. 4. Use only 2 tablespoons of detergent. Technology in detergents allow you to use much less, in fact your washer will perform better. 5. If you have a front load washer clean the rubber gasket with a soft cloth and bleach - many odors stem from this area. 6. 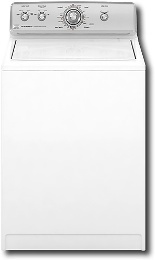 If you have a front load washer, clean the detergent dispenser with hot water to prevent it from clogging. 7. For both top and front load leave the lid or door open when no in use. This will prevent odors and mildew growth. We are continually trained and kept up to date with the latest washing machine technology, growing and evolving with the industry. Our van is fully stocked with all the fast moving and most common parts for a quick and timely repair.